We provide GreatCare® in Amarillo to help seniors remain healthy, happy, and at home. Discover how our personalized method of delivering in-home care gives seniors in Amarillo the control to safely age in place. I am looking for care for a loved one. I am looking for in–home help for myself. We know that great service can only be delivered by qualified, experienced staff. At Caring, we make sure our caregivers have the right personality and skill level to ensure our clients receive quality senior care services. Our caregivers must have a minimum of 1 year of experience or have passed the state certification to become a nurse aide. This means all of our caregivers are experienced and trained to provide services to our clients. Our caregivers must provide references, and we verify their experience and contact their former employers. This provides the assurance that our caregivers meet our high standards of trustworthiness and work values. Our caregivers go through a rigorous interview process, and we select only the most professional, responsible and compassionate individuals. This means we are able to match our caregivers and clients based on both skills and personalities. Our personal care includes help with bathing, dressing, incontinence, mobility, exercise, and more. We help seniors maintain independence by providing transportation to wherever they want to go. Our staff can prepare meals to meet dietary restrictions. Tell us what you want to eat, and we'll make it. Our caregivers help manage medications by reminding seniors to take their medications on schedule. From playing games to sharing stories, our caregivers provide social interaction for lonely seniors. Respite care provides a break from family caregiving so you can relax while knowing your loved one is safe. 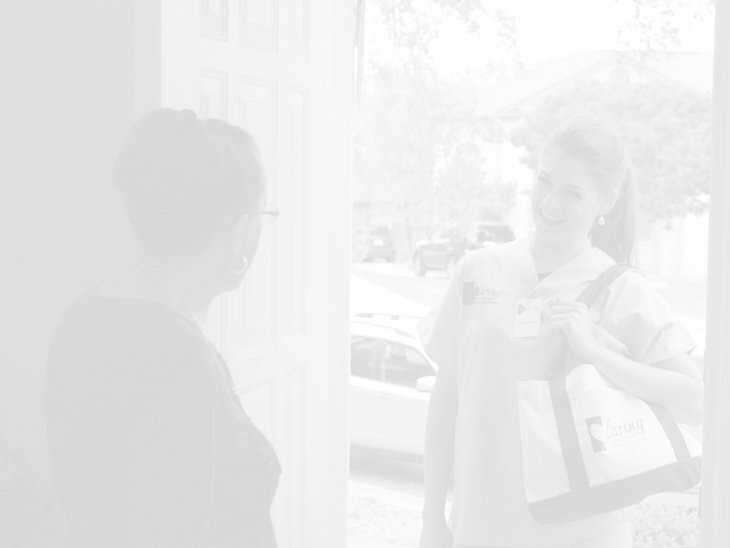 Our caregivers help with errands, including picking up prescriptions, dropping off gifts, or mailing packages. We keep homes clean and tidy to help them avoid falls. We help with laundry, dishes, dusting, and more. Each client receives a tablet with our Family Portal to improve communication and enhance family support. Our 43-point safety assessment identifies hazards at home to create a secure environment for seniors. Want to get to know our Amarillo team? We would love to share who we are and what we stand for. In what areas are your services available? Contact our office to find out if we provide service in your area. How do you select your caregivers? We require our caregivers to have certain personal qualities, pass state and national background checks, and participate in a thorough interview. Additionally, all of our caregivers must have a CNA license or at least 1 year of experience working with seniors. Does insurance cover the cost of your services? Long-term care insurance covers our service. Most medical insurances, including Medicare, do not provide coverage for our service. The VA offers an Aide & Attendant program, but certain restrictions apply. Our office staff can assist with pre-qualification for this VA benefit. Medicaid may cover some services, but most of our offices do not currently accept Medicaid. Do you have a patient who needs home care? Reach out to us, and we will give you a call to learn more.